Formerly an Insurance Agent, I have been thoroughly trained in the property inspection field by the founder of Atlantic Building Inspections, Carlos Gonzalez. Working with Carlos now for several years, I have since blossomed into a seasoned inspector. From the high-tech inspection tools to the low-tech ladders, I LOVE my work. I enjoy meeting new people and the challenges of inspecting different types of structures in such a diverse landscape. I have a keen eye for building defects and have an exceptionally smooth way of providing my finding to the buyer(s). Performing inspections on a daily basis have taught me the art of explaining the results in “layman’s” terms and not in the contractor’s jargon. I like to say it like it is and I enjoy providing a fantastic inspection experience. I am proficient in structural, roofing, electrical and plumbing systems and components. My being involved in the insurance industry for over eight years has provided me an experience that I can and do utilize as a building inspector. I am excited to meet you and perform a detailed and professional inspection on your next prospect property! 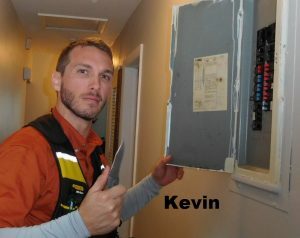 Please be sure to ask for Kevin for your next home inspection. 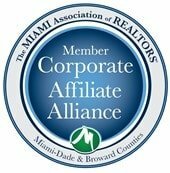 For home inspection services in the Miami area, look to Atlantic Building Inspections. Call us today at (786) 477-5975 for immediate service. Click here to take advantage of our online scheduling for your convenience. 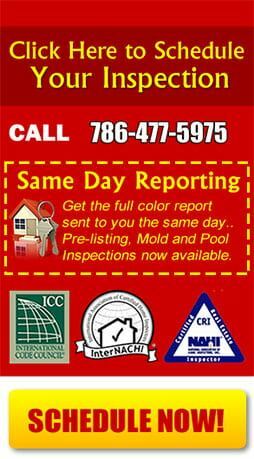 Call Us Today (786) 477-5975 To get the most comprehensive home inspection in the Miami area. Atlantic Building Inspections has been perfecting the art of Home Inspection since 2006. The industry has continued to evolve with new standards and more advanced technology to confirm the condition of the home. But one thing has remained consistent: our dedication to providing the best Home Inspection solutions.